The Book of Lost Things encompasses some of my favourite things – fairytales nightmare inducing villains. It is also, like Inkheart, a love letter to books and their readers. The story follows our protagonist, a young boy named David. At the beginning, we are introduced to him at a very traumatic time in his life – he is about to lose his mother. We learn that David has OCD, doesn’t have many friends and finally, that he loves to read. Above all, David loves fairytales. David is forced to accept the changes in his life, including his new stepmother and a baby brother, all while still grieving the mother he lost. 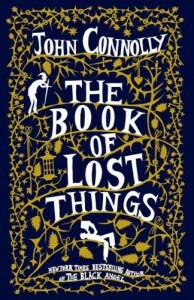 After an accident one day, David crosses over into a different land; a place where werewolves exist, where trolls lurk under bridges and far away a King keeps a magical tome known as ‘The Book of Lost Things’. The Book of Lost Things takes many famous fairytales, such as Snow White, Red Riding Hood and Hansel and Gretel and subverts the original tales into dark, new stories. David encounters many fairytale characters on his journey, each of them different from the tales he knows. From communist dwarves to a huntress whose favourite game is children, it is a place where a young boy like David finds himself in constant danger. This is very much a book about childhood from an adult’s perspective. It is a story about grief, courage and in many ways, is a study of the temptation found in every human to do terrible things to each other, especially children, who have no real idea of the consequences of their actions. David may only be a child but he is touched by traditionally adult emotions – grief, jealousy and self-awareness. He is an inherently flawed character, not the kind of child that is easily likeable or sympathetic but I think that’s what him such a great character. He develops with every experience and realises his own flaws, enough so to understand right from wrong in a particularly adult way. The Crooked Man is legit terrifying, actual nightmare fodder. GOOD LUCK SLEEPING AFTER READING ABOUT HIM T B H.
The books have actual personalities and it made me cry. Boring books which snore loudly, fairytales which whisper about magical things, just the image that each book is alive in its own way was beautiful to me. The flowers in the forest made me cry. Children can be the worst. The female characters are by and large unimpressive. I get why they’re written in a certain way but dude, fairytales are full of negative female stereotypes. The book’s one, quite significant weakness is in its portrayal of women and is one of the main reasons I find David to be vastly unsympathetic as a protagonist. I agree with you on how the books make you feel. I seemed to hear them whispering to me when they were whispering in the book and Connolly is quite a writer to be able to pull that off. I thought this was a great read. The only thing that got me was the slow moving parts in the beginning of the book as well as an overall sad tone. Excellent review! Jaclyn @ JC’s Book Haven. My book club discussed this book and we had huge issues about the female characters in this book. Almost wondering if the author was abused by females. 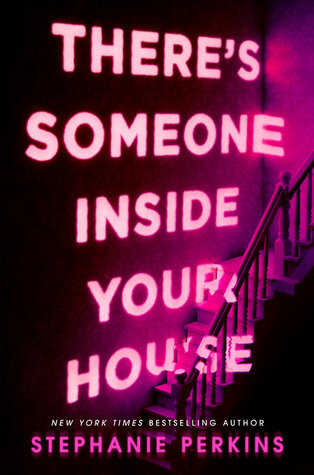 I did love this book though.. it was wonderful. I think it’s Connolly’s only YA book? I can’t remember! Yes, that was my biggest problem with this book tbh. The female characters are awful, and even though they’re written in that way for a reason it still left me feeling really uncomfortable :/ It’s an interesting idea that he may have been abused tbh, I could see that coming across in the writing. YEEEEEEEEEEEEEEEEEEEEEEEEEEEEEEEES!! I love convincing people to read ALL THE BOOKS. I LOVE this book. It had me crying in like, the first 25 pages, I just had all the feels about it. I love that it was twisted and more adult in the fairy tales. I just thought it was beautifully written. And Mel–YES! You need to read this!! !